10. 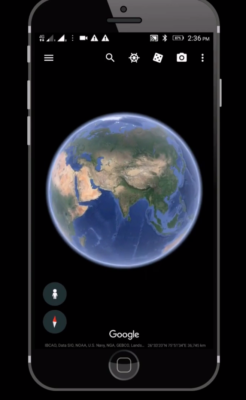 Google Earth – Keep it On Hand - KJ Kuchling Consulting Ltd. In a previous article (3. Site Visit – What Is the Purpose?) I briefly discussed the requirements for a site visit to be completed by one or more Qualified Persons (“QP”) in a 43-101 compliant study. Unfortunately the entire study team cannot participate in a site visit; however the next best thing may be Google Earth. It can be used to fly-around the project site examining the topography. It can be used to view regional features, regional facilities, land access routes, and existing infrastructure. It has the capability to measure distances, either in a straight line or along a zigzag path. It provides the capability to view historical aerial photos (if they exist) to show how the project area might have changed over time. It can import GPS tracks and survey waypoints. If a member of the study team has visited the site with a GPS, they can illustrate their route and their observations. My recommendation is to always have a Google Earth session with your engineering team to examine the project site and the regional infrastructure. A group session like this ensures that everyone sees and hears the same thing. It’s like taking a helicopter tour of the site with your entire study team at once! A “helicopter tour” would be a good agenda item at the very first kickoff meeting. Another option is to check the aerial photos and Bird’s Eye views on the Bing Maps website (www.bing.com/maps). Sometimes those images will be different than what you will find in Google Maps or Google Earth. Tagged: Mine Engineering, Mining, PEA. ‹ 9. Large Consulting Firms or Small Firms – Any Difference? I have yellow pins all over my Google Earth to mark locations of projects. I find it useful to orient a project with respect to infrastructure and to get approximate distances to highways, towns and ports.